Minted, LLC ("Minted") provides service to you subject to the following terms of service, which may be updated by us from time to time without specific notice to you. These Terms of Service apply to all users of the Website, including users who contribute information, ideas, and other materials or services on the Website. Please read these Terms of Service carefully. These Terms of Service contain an arbitration and class action waiver provision in the Dispute Resolution section below that impacts your rights under these Terms of Service and with respect to any disputes between you and Minted or our affiliates. Allow usage by others in such a way as to violate Minted’s Terms of Service. Minted respects the intellectual property of others, and we ask our users to do the same. Thus, in your use of and interactions with Minted and the Website, including if you access Minted services via a Third Party Platform (defined below), you may not post any User Submission or product design (“Design”) that contains copyrighted material belonging to others, or any material that infringes another intellectual property right of others, without obtaining their prior written consent. Minted reserves the right, in its discretion, to remove any User Submission or reject any Design if we believe it may infringe any right of a third party, and/or to terminate the account of any user that we reasonably believe may be infringing our or any third party’s rights. All content on the Website, including without limitation, the text, code, fonts, graphics, User Submission, designs and photos created by and for Minted, interactive features ("Content") and the trademarks, service marks and logos contained therein ("Marks"), are owned by or licensed to Minted, subject to copyright and other intellectual property rights under United States and foreign laws and international conventions. Content on the Website is provided to you “AS IS” for your information and personal use only and may not be used, copied, reproduced, distributed, transmitted, broadcast, displayed, sold, licensed, or otherwise exploited for any purpose whatsoever without the prior written consent of Minted or as expressly provided herein. Minted reserves all rights not expressly granted in and to the Website and the Content contained therein. 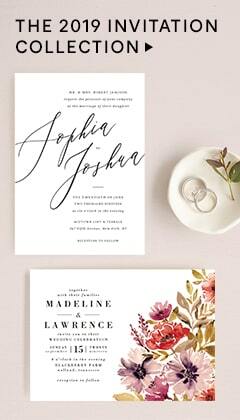 The Minted Website is © 2008-, Minted, LLC – All Rights Reserved. No portion of the Website may be copied, reproduced, transmitted, derived, or otherwise used for any purpose without the prior written permission of Minted. You agree to not engage in the use, copying, or distribution of any of the Content other than expressly permitted herein, including any use, copying, or distribution of User Submissions of third parties obtained through the Website for any commercial purposes. If you download or print a copy of any portion of the Content for personal use, then you must maintain all applicable copyright and other proprietary notices. You agree not to circumvent, disable or otherwise interfere with any security related features of the Website, or with any features that prevent or restrict use or copying of any Content. All of the Minted trademarks are owned by Minted and may not be used for any purpose without the prior written permission of Minted. All other trademarks are owned by third parties, and may not be used for any purpose without the prior written permission of such parties. Without limiting the generality of the foregoing, portions of the Website and our products are covered by U.S. Patents D687486, D700191, D725186, D767021, D766361, D788218, D788219, 9,292,175, 9,310,968, 9,747,634, 9,779,448, 9,844,975, 9,925,824, 10,007,943, and pending U.S. patent applications. Minted reserves the right to modify or discontinue, temporarily or permanently, the Website (or any part thereof) with or without notice to you at any time. Minted shall not be liable to you or to any third party for any modification, suspension or discontinuance of any part of our Website. This includes, but is not limited to, discontinuance of products and modification of prices. Minted may, in our sole discretion and without prior notice, immediately terminate your Minted account and access to the Website and any other Minted services. Cause for such termination shall include, but not be limited to: (a) breach or violation of any of these Terms of Service, and/or other incorporated agreements or guidelines; (b) request by any law enforcement or government agency; (c) request of the account owner or its authorized agent; (d) extended period of inactivity; (e) engagement by you in fraudulent or illegal activities; and/or (f) nonpayment of any fees owed by you in connection with the Website or any other Minted product. Termination of your Minted account will include: (a) removal of access to all pages within the Website; (b) deletion of your password and all related information, files and materials, including User Submissions or Designs associated with or inside your account (or any part thereof); and (c) barring of further use of the Website. Further, you agree that Minted shall not be liable to you or any third party for any termination of your account, any associated email address, or access to the Website. EXCEPT AS EXPRESSLY PROVIDED IN THE WARRANTY FOR ANY PURCHASED PRODUCTS, YOU EXPRESSLY UNDERSTAND AND AGREE THAT, TO THE FULLEST EXTENT PERMITTED BY LAW: (A) YOU AGREE THAT YOUR USE OF THE WEBSITE SHALL BE AT YOUR SOLE RISK, (B) MINTED PRODUCTS ARE PROVIDED ON AN “AS IS” AND “AS AVAILABLE” BASIS, AND (C) MINTED, AND ANY PARENT, SUBSIDIARY, AFFILIATE, DIRECTOR, OFFICER, EMPLOYEE, LICENSOR, DISTRIBUTOR, SUPPLIER, AGENT, RESELLER, OWNER, OR OPERATOR OF MINTED, DISCLAIM ALL WARRANTIES, EXPRESS OR IMPLIED, IN CONNECTION WITH THE WEBSITE AND YOUR USE OF IT. MINTED MAKES NO WARRANTIES OR REPRESENTATIONS ABOUT THE ACCURACY OR COMPLETENESS OF THE WEBSITE’S CONTENT OR THE CONTENT OF ANY SITES LINKED TO THIS SITE AND ASSUMES NO LIABILITY OR RESPONSIBILITY FOR ANY (I) ERRORS, MISTAKES, OR INACCURACIES OF CONTENT, (II) PERSONAL INJURY OR PROPERTY DAMAGE, OF ANY NATURE WHATSOEVER, RESULTING FROM YOUR ACCESS TO AND USE OF THE WEBSITE, (III) ANY UNAUTHORIZED ACCESS TO OR USE OF OUR SECURE SERVERS AND/OR ANY AND ALL PERSONAL INFORMATION STORED THEREIN, (IV) ANY INTERRUPTION OR CESSATION OF TRANSMISSION TO OR FROM THE WEBSITE, (IV) ANY BUGS, VIRUSES, TROJAN HORSES, OR THE LIKE WHICH MAY BE TRANSMITTED TO OR THROUGH OUR WEBSITE BY ANY THIRD PARTY, AND/OR (V) ANY ERRORS OR OMISSIONS IN ANY CONTENT OR FOR ANY LOSS OR DAMAGE OF ANY KIND INCURRED AS A RESULT OF THE USE OF ANY CONTENT POSTED, EMAILED, TRANSMITTED, OR OTHERWISE MADE AVAILABLE VIA THE WEBSITE. MINTED DOES NOT WARRANT, ENDORSE, GUARANTEE, OR ASSUME RESPONSIBILITY FOR ANY THIRD PARTY WEBSITE OR OTHER PROMOTION, AND MINTED WILL NOT BE A PARTY TO OR IN ANY WAY BE RESPONSIBLE FOR MONITORING ANY TRANSACTION BETWEEN YOU AND THIRD-PARTY PROVIDERS OF PRODUCTS OR SERVICES. NO ADVICE OR INFORMATION, WHETHER ORAL OR WRITTEN, OBTAINED BY YOU FROM MINTED OR THROUGH OR FROM THE SERVICE SHALL CREATE ANY WARRANTY NOT EXPRESSLY STATED IN THESE TERMS OF SERVICE. IN NO EVENT SHALL MINTED, OR ANY PARENT, SUBSIDIARY, AFFILIATE, DIRECTOR, OFFICER, EMPLOYEE, LICENSOR, DISTRIBUTOR, SUPPLIER, AGENT, RESELLER, OWNER, OR OPERATOR OF MINTED, BE LIABLE TO YOU FOR ANY DIRECT, INDIRECT, INCIDENTAL, SPECIAL, PUNITIVE, OR CONSEQUENTIAL DAMAGES WHATSOEVER, WHETHER BASED ON WARRANTY, CONTRACT, TORT, OR ANY OTHER LEGAL THEORY, AND WHETHER OR NOT WE ARE ADVISED OF THE POSSIBILITY OF SUCH DAMAGES, RESULTING FROM ANY (I) ERRORS, MISTAKES, OR INACCURACIES OF CONTENT ON OUR WEBSITE OR IN ANY OF OUR PRODUCTS, (II) PERSONAL INJURY OR PROPERTY DAMAGE, OF ANY NATURE WHATSOEVER, RESULTING FROM YOUR ACCESS TO AND USE OF OUR WEBSITE, (III) ANY UNAUTHORIZED ACCESS TO OR USE OF OUR SECURE SERVERS AND/OR ANY AND ALL PERSONAL INFORMATION STORED THEREIN, (IV) ANY INTERRUPTION OR CESSATION OF TRANSMISSION TO OR FROM OUR WEBSITE, (IV) ANY BUGS, VIRUSES, TROJAN HORSES, OR THE LIKE, WHICH MAY BE TRANSMITTED TO OR THROUGH OUR WEBSITE BY ANY THIRD PARTY, AND/OR (V) ANY ERRORS OR OMISSIONS IN ANY CONTENT OR FOR ANY LOSS OR DAMAGE OF ANY KIND INCURRED AS A RESULT OF YOUR USE OF ANY CONTENT POSTED, EMAILED, TRANSMITTED, OR OTHERWISE MADE AVAILABLE VIA THE WEBSITE OR VIA USE OF ANY OF OUR PRODUCTS. THE FOREGOING LIMITATION OF LIABILITY SHALL APPLY TO THE FULLEST EXTENT PERMITTED BY LAW IN THE APPLICABLE JURISDICTION. YOU SPECIFICALLY ACKNOWLEDGE THAT MINTED SHALL NOT BE LIABLE FOR USER SUBMISSIONS OR FOR ANY DEFAMATORY, OFFENSIVE, OR ILLEGAL CONDUCT OF ANY THIRD PARTY AND THAT THE RISK OF HARM OR DAMAGE FROM THE FOREGOING RESTS ENTIRELY WITH YOU. The Website is controlled and offered by Minted from its facilities in the United States of America. Minted makes no representations that the Website is appropriate or available for use in other locations. Those who access or use the Website from other jurisdictions do so at their own volition and are responsible for compliance with local law. The Website may contain links to third party websites that are not owned or controlled by Minted. Minted has no control over, and assumes no responsibility for, the content, privacy policies, or practices of any third party websites. By using the Website, you specifically release Minted from any and all liability arising from your use of any third-party website. You agree to defend, indemnify and hold harmless Minted, and any parent, subsidiary, affiliate, director, officer, employee, licensor, distributor, supplier, agent, reseller, owner, or operator of Minted, from and against any and all claims, damages, obligations, losses, liabilities, costs or debt, and expenses (including but not limited to attorney’s fees) arising from: (i) your use of and access to the Website; (ii) your violation of any of these Terms of Service; (iii) your violation of any third party right, including without limitation any copyright, property, or privacy right; or (iv) any claim that one of your User Submissions or Designs caused damage to a third party. This defense and indemnification obligation will survive these Terms of Service and your use of the Website. Minted is not intended for children under 13. If you are under 13 years of age, then please do not use the Minted Website. These Terms of Service, and any rights and licenses granted hereunder, may not be assigned, transferred, delegated, and sublicensed by you, but may be assigned, transferred, delegated, and sublicensed by Minted without restriction. These Terms of Service are agreed in accord with the law of California, within the United States. You agree that any dispute related to our Website or other services must be brought in accordance with the dispute resolution procedures set forth below under the heading “Dispute Resolution”. We both agree that the United Nations Convention on Contracts for the International Sale of Goods does not apply to these Terms of Service. If any provision of these Terms of Service is deemed invalid, void or for any reason unenforceable, such term will be severed and will not affect the validity of the remaining provisions of these Terms of Service, which shall remain in full force and effect. No waiver of any term of this these Terms of Service shall be deemed a further or continuing waiver of such term or any other term, and Minted’s failure to assert any right or provision under these Terms of Service shall not constitute a waiver of such right or provision. Minted reserves the right to amend these Terms of Service at any time in its sole discretion and without prior notice, which shall take effect upon posting to the Website. It is your responsibility to review these Terms of Service for any changes. Your use of the Website following any amendment of these Terms of Service will signify your assent to and acceptance of its revised terms. You agree that any cause of action arising out of or related to the Website must commence within one (1) year after the cause of action accrues; otherwise, such cause of action shall be permanently barred. Please report any violations of the Terms of Service, including objectionable User Submissions or behavior, to info@minted.com. Please state the reasons for your concern and provide a copy or a link to the User Content, Design or, if appropriate, the behavior in question. Upon receiving such a report of a possible violation, Minted in its sole discretion may investigate the matter and take such action as Minted determines to be appropriate. These Terms of Service last updated August 22, 2018. We provide best-in-class online tools for you to design, personalize and review your order before submission. We also offer proofing services for certain of our products whereby a professional designer may adjust the design for layout, sizing and spacing. Each order with proofing services is rendered as a digital proof for approval before any printing begins. When proofing services are provided, we provide only one proof to allow for any changes unless otherwise stated in accordance with the applicable service. We ask that you carefully review your proof, as additional proofs and design work will incur a fee. Learn more here. 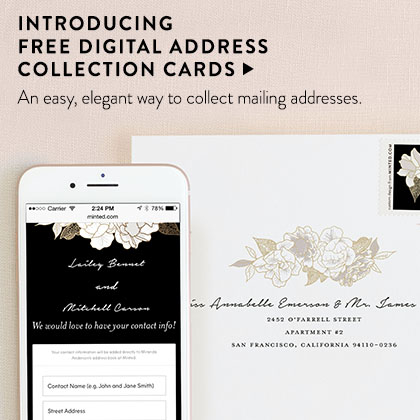 Minted offers optional services such as personalized design services, art styling services, hand-addressing and calligraphy for your envelopes. Optional services may be negotiated specifically for your order, based on the quantities and specifications you choose and must be mutually agreed to by Minted. Such services may be outsourced to contractors of Minted, and will be subject to additional and separate terms and conditions from those contained in these Terms of Service, including but not limited to Minted’s Cancellation Policy. Minted’s Commissioned Art service enables customers to commission Minted artists to create original art. Minted customers will have the opportunity to request a completely new and unique piece or use an existing piece of art as a starting point. These physical pieces will be shipped directly from the artist to the customer. Minted Commissioned Art permits you to engage in a direct relationship with Minted artists. A customer creates and art commissions proposal which is communicated to a specified artist through the Minted Commissioned Art service. The artist communicates with the customer who has submitted a proposal and may either ultimately reject or accept a final proposal in the artist’s sole discretion. If the customer accepts an artist’s final proposal (creating an “Accepted Commission”) the customer will be charged the upfront payment required by the terms of the proposal. The artist will promptly begin work on creating the Accepted Commission, and if the artist has promised the work within a specific amount of time, will adhere to that schedule. If the Accepted Commission is over $500 in value the artist must provide progress reports at least on a weekly basis. Following the specified number of iterations (or fewer in the customer’s discretion) the artist will present a reasonably clear photograph of the completed Accepted Commission for the customer’s approval. If the customer approves the Accepted Commission the artist will promptly ship the finished Accepted Commission to the customer. The artist may require the customer to sign for the delivery. If the Accepted Commission is damaged upon arrival or otherwise does not match the photograph previously approved by the customer, the customer is entitled to a full refund from Minted, provided that the artist may require the customer to return the Accepted Commission to you before the refund is made. Following the completion of the Accepted Commission the customer may leave the artist a review through the Minted Commissioned Art service and the artist may respond publicly to any such review. 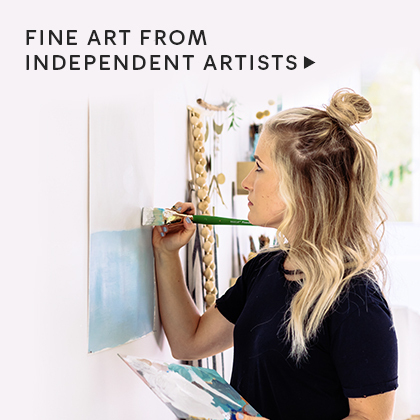 Minted Commissioned Art acts as a venue to allow customers who comply with these Terms of Service to commission and purchase original art within a framework provided by Minted. Minted is not directly involved in the transactions between artists and customers. As a result, Minted has no control over the quality, safety, morality or legality of any aspect of the items listed, the truth or accuracy of the statements made by artists or customers, or the ability of artists to create the commissioned art. Minted does not pre-screen content or information provided by artists or customers. Minted cannot ensure that an artist or customer will actually complete a transaction. Consequently, the sale of art on Minted Commissioned Art is directly between the artists and the customer and at no point will Minted take possession or have any ownership rights to the artwork produced. Because Minted Commissioned Art is merely facilitating a transaction between the artist and a customer, Minted will not be able to resolve disputes between the artist and a customer except to the extent set forth in these Terms of Service. You agree that Minted Commissioned Art is a venue and as such is not responsible or liable for any content, for example, artist profile information, listing information, data, text, information, usernames, graphics, images, photographs, profiles, audio, video, items, and links posted, transmitted or otherwise communicated by artists, customers, or outside parties on through Minted Commissioned Art. You use the Minted Commissioned Art service at your own risk. It is very important to Minted that our marketplace is trusted, fair, and safe for our customers. We only take 50% of the customer payment at the time that the customer accepts the project proposal. Remainder is retained by customer until the final artwork is approved and Minted does not remit the final payment to the artist until the delivery of the artwork is confirmed. We provide a private one-to-one messaging system that allows you to keep a written record of conversation and agreements between the customer and the artist. We strongly encourage use of this messaging system for all communication with the artist. If an artist insists on speaking via the phone, we recommend a follow up with written documentation of the conversation, using our messaging system. We enable the artists and the customer to exchange significant amounts of information up-front and throughout the duration of the project. Any abusive or harassing communication from artists will not be tolerated. Because Minted Commissioned Art is merely facilitating a transaction between the artist and customer, Minted will not be able to resolve disputes except to the extent set forth in these Terms of Service. The artist retains full copyright for the artwork produced for Minted Commissioned Art projects. However, because the artist has created the unique artwork for the exclusive use of the customer, the artist may not distribute, reproduce or otherwise profit from the artwork without the customer’s express, written permission, or as agreed upon prior to the acceptance of the commission. Minted does not take any ownership or license of your commissioned artwork under this program. The customer may not distribute, reproduce, or otherwise profit from the artwork, beyond the resale of the original artwork. The customer may not edit, alter, or trace the artwork without the artist’s express, written permission, or as agreed upon prior to the acceptance of the commission. Because Minted is merely facilitating the transaction between the artist and the customer and will not take any ownership or license to the commissioned artwork, Minted will be unable to enforce these provisions. Consequently, any dispute between the artist and a customer regarding the intellectual property of the commissioned artwork must be resolved exclusively between the artist and the customer. Minted respects the intellectual property of others, and we ask our users to do the same. Thus, you must not request any art commission that contains copyrighted material belonging to others, or any material that infringes the intellectual property right of others, without obtaining the holder’s prior written consent. Minted reserves the right, in its discretion, to cancel any art commission if we believe it may infringe any right of a third party, and/or to terminate the account of any user that we reasonably believe may be infringing our or any third party’s rights. Once an art commission proposal is accepted in Minted Commissioned Art, the customer’s initial payment is non-refundable without the artist’s consent other than in Minted’s sole discretion in the event of a breach of these Terms of Service by the artists or if the artists and the customer mutually agree to terminate the art commission. The customer has the right to cancel a commission due to poor communication, rude/inappropriate behavior, an inability to effectively communicate in the English language, or a breach by the artist of these Terms of Service. During the course of an art commission the artist and/or the customer may initiate a change in the terms of the commission (including number of iterations, medium, size or other change in scope) that the artist and the customer mutually agree will result in a change in the value of the art commission. Once the customer’s final payment has been made following the customer’s approval of the photograph of the finished art commission, the customer acknowledges and agrees that the payment will be non-refundable other than (i) in Minted’s sole discretion in the event of a breach of these Terms of Service by the artist, (ii) if the art commission arrives damaged, (iii) if the artist fail to ship the art commission within seven days of the customer making the final payment without the customer’s prior approval, or (iv) upon the mutual agreement of the artist and the customer. If you wish to initiate a refund in connection with any of clauses (i) and (iii) above please contact Minted at www.minted.com/help. Otherwise, please contact your artist to initiate a refund. In order to complete an art commission you will be required to communicate directly with your artist through the messaging features available through the Minted Commissioned Art service. The messaging features will permit you to discuss the terms of an art commission privately with an artist, provided that any correspondence will be available to Minted for internal purposes including to review in connection with customer service requests and other matters relating to the art commission. Circumventing any of the Minted Commissioned Art services or features. Customers can leave a review within 90 days after their approval of an art commission. Minted reserves the right to delete any review from a customer which violates these Terms of Service. Minted reserves the right to remove any customer reviews that are determined, in Minted’s sole discretion, to be offensive, abusive, or otherwise in bad faith or in violation of these Terms of Service. Artists have the opportunity to publicly respond to all reviews of their work on Minted Commission Art. Manipulation of reviews is strictly prohibited on Minted Commissioned Art. Minted considers review manipulation to be any actions taken by an artist to cause the creation of a positive review whether by creating additional user accounts or causing your friends, family or other acquaintances to provide positive reviews. Reviews must reflect the honest, unbiased opinions, findings, beliefs, or experience of the customer. Minted reserves the right to remove any review which it suspects has been posted as a result of such manipulation. If Minted determines that there is a pattern of manipulation or abuse by either customer or artist, we reserve the right to revoke access to the Minted Commissioned Art service. We may consider the artist’s and/or customer’s history with Minted as well as the applicable specific circumstances in applying our policies and these Terms of Service. We may choose to waive policies or terms where we believe doing so benefits both artists and customers. Minted provides Minted More membership subject to these Terms of Service, which may be updated by us from time to time without specific notice to you. Minted reserves the right to refuse or terminate all or part of our Minted More membership to anyone for any reason in our sole discretion. Because these Terms of Service will be updated from time to time, we encourage you to review these Terms of Service frequently so that you may be informed of any updates. Amendments to these Terms of Service are effective immediately when posted. Your continued membership after posting of amendments will be deemed your acceptance of the changes to these Terms of Service. If you do not agree with these Terms of Service, you must cancel your membership. You can determine when these Terms of Service were last revised by referring to the date it was “Last Updated” above. You may cancel your Minted More membership at any time by contacting Minted Customer Service at www.minted.com/help. If you cancel your membership before your Minted More gift box has shipped, we will refund your full membership fee; provided that we may charge you (or withhold from your refund) the value of Minted More discount benefits used by you and your account prior to cancellation. If you cancel at any other time, your membership fee is non-refundable. Minted More discount benefits may be limited to a single use and limited to certain products sold by Minted, and may not be combined with each other or with most other Minted offers, promotions, or credits. If a product is eligible for purchase with one or more discount benefits that may still be used, the discount(s) will automatically be available as an option to apply to your order during checkout. If only some items in your order are eligible for purchase with the discount benefits, the discount will not apply to the ineligible items. Discount benefits do not apply to shipping charges, special products, order, handling fees, or taxes. We may exclude products from the Minted More discount benefit at our discretion. The Minted More section of our Help pages provides additional information about membership and benefits and may be updated from time to time. 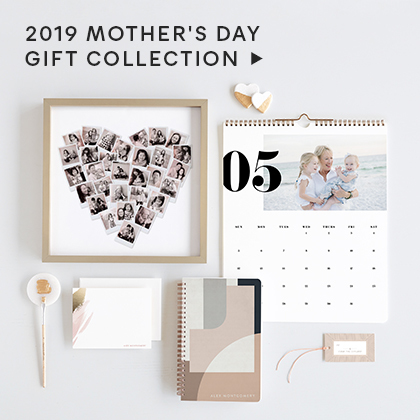 We may send you email and other communications related to Minted More and your Minted More membership (regardless of any settings or preferences related to your Minted More account). You may not transfer or assign your Minted More membership or any Minted More benefits, including promotion codes for Minted More memberships or benefits, except as allowed in these terms. Minted More members are not permitted to purchase products for the purpose of resale, rental, or to ship to their customers or potential customers using Minted More benefits. From time to time, Minted may choose in its sole discretion to add or remove Minted More membership benefits. All Minted More membership benefits, including any unused discounts, credits, promotions, or other benefits granted during a membership term expire in entirety at the end of the applicable term and may not be extended beyond the term or transferred to or rolled over into any subsequent term whether by auto-renewal or re-purchase. Furthermore, no refunds, discounts, or other forms of compensation will be given for any unused Minted More membership benefits at any point during or upon completion of a membership term. The membership fee for Minted More is stated in the Minted More section of our Help pages. From time to time, we may offer different membership terms, and the fees for such membership may vary. The Minted More membership fee is non-refundable except as expressly set forth in these Terms of Service. Taxes may apply on either or both of the membership fee and the reduced product charges when using discount benefits. Only credit cards are eligible for payment of your Minted More membership. You may not sign up for Minted More with a debit card or any prepaid card. Also known as a "check" or "ATM" card, a debit card typically has the word "debit" printed on the face of the card. UNLESS YOU NOTIFY US BEFORE A CHARGE THAT YOU WANT TO CANCEL OR DO NOT WANT TO AUTO RENEW, YOU UNDERSTAND YOUR MINTED MORE MEMBERSHIP WILL AUTOMATICALLY CONTINUE AND YOU AUTHORIZE US (WITHOUT NOTICE TO YOU, UNLESS REQUIRED BY APPLICABLE LAW) TO COLLECT THE THEN-APPLICABLE MEMBERSHIP FEE AND ANY TAXES, USING ANY CREDIT CARD WE HAVE ON RECORD FOR YOU. We may terminate your Minted More membership at our discretion without notice. If we do so, we will give you a prorated refund based on the number of full months remaining in your membership. However, we will not give any refund for termination related to conduct that we determine, in our discretion, violates these Terms of Service or any applicable law, involves fraud or misuse of the Minted More membership, or is harmful to our interests or another user. Our failure to insist upon or enforce your strict compliance with these Terms will not constitute a waiver of any of our rights. Minted grants you permission to use the Website as set forth in these Terms of Service, provided that: (i) your use of the Website as permitted is solely for your personal, noncommercial use; (ii) you will not copy or distribute any part of the Website in any medium without Minted’s prior written authorization; (iii) you will not alter or modify any part of the Website other than as may be reasonably necessary to use the Website for its intended purpose; (iv) you are of legal age to form a binding contract and are not a person barred by any laws from using the Website; and (v) you will otherwise comply with all terms and conditions of these Terms of Service. Minted reserves the right to terminate a user's access to the Website at any time in its sole discretion and without prior notice. You are solely responsible for the activity that occurs on your account, and you must keep your account password secure. You may change your password at any time by updating your Account Profile page. In addition, you agree to immediately notify Minted of any unauthorized use of your password or account or any other breach of security that you become aware of. In order to access some features of the Website, you will have to create an account. You are not allowed to use another user’s account without their prior written permission. When creating your account, you must provide accurate and complete information. If any of your information changes, you agree to update your registration information as soon as possible. If Minted suspects that your registration information is not complete, current, or accurate, or that you have otherwise violated these Terms of Service, then your account may be subject to suspension or termination, and you may be barred from using the Website. You agree not to use or launch any automated system, including without limitation, "robots," "spiders," or similar technological devices or programs, that access the Website in a manner that sends more requests to our servers than a human can reasonably produce in any period of time by using a conventional on-line web browser. Notwithstanding the foregoing, Minted grants the operators of public search engines permission to use spiders to copy materials from the Website for the sole purpose of creating publicly available searchable indices of the materials, but not caches or archives of such materials. We reserve the right to revoke these exceptions either generally or in specific cases, in our sole discretion. It may be possible to access the Website via a third party social network or email service, including but not limited to Facebook or Facebook Connect (“Third Party Platforms”). Access to the Website via a Third Party Platform may only be granted, once you explicitly allow it, through an interface provided by the Third Party Platform. Third Party Communications then may be allowed via the Third Party platform. By submitting User Submissions or Designs to Minted via a Third Party Platform, you hereby grant Minted a worldwide, non-exclusive, royalty-free, sub-licensable, and transferable right and license to use, reproduce, distribute, prepare derivative works of, display, and perform the User Submissions and Designs, including but not limited to your Third Party Platform profile information, photos, profile picture, and certain other information, in connection with the Website and Minted’s (and any of its successors’) business, including without limitation for promoting and redistributing part or all of the Website (and derivative works we may create) in any media now known or hereafter developed. You hereby represent, warrant and guarantee that you own the intellectual property rights, or have prior written consent to submit or post material protected by an intellectual property right of another, including but not limited to copyright, attached to any User Submission or Design, including a Third Party Platform profile photo, submitted to Minted via a Third Party Platform. The interactive nature of postings on Minted makes it impossible for Minted to assume responsibility for any of the materials posted by users. The ideas, suggestions, opinions, comments, and observations made by Minted users, and any text, data, photographs, video, music, sound, chat, messages, files or other material provided to Minted by users (all of which are referred to as "User Submissions") are not endorsed by Minted, and we make no guarantee regarding the reliability, accuracy, or quality of any User Submission that is posted on the Website. Minted does not provide any confidentiality with respect to any User Submission. You acknowledge that you will evaluate and bear any risks related to your use of any User Submission, including any reliance on the legality, accuracy, completeness, or usefulness of such User Submission. All User Submissions posted to the Website are the sole responsibility of the person who originally posted the User Submission, and your sole recourse for any damage you may suffer as a result of User Submissions shall be to such individual. If you are a user located in California: The Complaint Assistance Unit of the Division of Consumer Services of the California Department of Consumer Affairs may be contacted by telephone at (916) 445-1254 or (800) 952-5210 or by mail at 1625 North Market Blvd., Sacramento, CA 95834. Subject to applicable law, these Terms and Conditions are governed by the laws of the United States (including the Federal Arbitration Act and other federal arbitration law) and the State of California, U.S.A., without regard to its principles of conflicts of law, and regardless of your location. EXCEPT FOR DISPUTES THAT QUALIFY FOR SMALL CLAIMS COURT, ALL DISPUTES ARISING OUT OF OR RELATED TO THESE TERMS AND CONDITIONS OR ANY ASPECT OF THE RELATIONSHIP BETWEEN YOU AND MINTED, WHETHER BASED IN CONTRACT, TORT, STATUTE, FRAUD, MISREPRESENTATION OR ANY OTHER LEGAL THEORY, WILL BE RESOLVED THROUGH FINAL AND BINDING ARBITRATION BEFORE A NEUTRAL ARBITRATOR INSTEAD OF IN A COURT BY A JUDGE OR JURY, AND YOU AGREE THAT MINTED AND YOU ARE EACH WAIVING THE RIGHT TO TRIAL BY A JURY. YOU AGREE THAT ANY ARBITRATION UNDER THESE TERMS AND CONDITIONS WILL TAKE PLACE ON AN INDIVIDUAL BASIS; CLASS ARBITRATIONS AND CLASS ACTIONS ARE NOT PERMITTED AND YOU ARE AGREEING TO GIVE UP THE ABILITY TO PARTICIPATE IN A CLASS ACTION. The arbitration will be administered by the American Arbitration Association (AAA) under its Consumer Arbitration Rules, as amended by this Agreement. The Consumer Arbitration Rules are available online. If the AAA is unable or declines to administer the arbitration, a court of competent jurisdiction may appoint the arbitrator. The arbitrator will conduct hearings, if any, by teleconference or videoconference, rather than by personal appearances, unless the arbitrator determines upon request by you or by us that an in-person hearing is appropriate. Any in-person appearances will be held at a location which is reasonably convenient to both parties with due consideration of their ability to travel and other pertinent circumstances, or as otherwise required by the AAA. If the parties are unable to agree on a location, such determination should be made by the the arbitrator. The arbitrator’s decision will follow these Terms and Conditions and will be final and binding. The arbitrator will have authority to award temporary, interim or permanent injunctive relief or relief providing for specific performance of these Terms and Conditions, but only to the extent necessary to provide relief warranted by the individual claim before the arbitrator. The award rendered by the arbitrator may be confirmed and enforced in any court having jurisdiction thereof. Notwithstanding any of the foregoing, nothing in these Terms and Conditions will preclude you from bringing issues to the attention of federal, state, provincial, territorial or local agencies and, if the law allows, they can seek relief against us for you. A party who intends to seek arbitration must first send a written notice of the dispute to the other party by U.S. Mail or electronic mail (“Notice”). Minted’s address for Notice is: Attention: Legal; Minted, LLC; 747 Front Street, Suite 200, San Francisco, California 94111. The Notice must: (a) describe the nature and basis of the claim or dispute; and (b) set forth the specific relief sought (“Demand”). The parties will make good faith efforts to resolve the claim directly, but if the parties do not reach an agreement to do so within 30 days after the Notice is received, you or Minted may commence an arbitration proceeding. During the arbitration, the amount of any settlement offer made by you or Minted must not be disclosed to the arbitrator until after the arbitrator makes a final decision and award, if any. If you are required to pay a filing fee, after Minted receives Notice that you have commenced arbitration, Minted will promptly reimburse you for your payment of the filing fee, unless your claim is for greater than $10,000, in which event you will be responsible for filing fees. If your claim is for $10,000 or less, we agree that you may choose whether the arbitration will be conducted solely on the basis of documents submitted to the arbitrator, through a telephonic hearing, or by an in-person hearing as established by the arbitration rules. If your claim exceeds $10,000, the right to a hearing will be determined by the AAA rules. Regardless of the manner in which the arbitration is conducted, the arbitrator shall issue a reasoned written decision sufficient to explain the essential findings and conclusions on which the award is based. If the dispute is finally resolved through arbitration in your favor, Minted will pay you the highest of the following: (i) the amount awarded by the arbitrator, if any; (ii) the last written settlement amount offered by Minted in settlement of the dispute prior to the arbitrator’s award; or (iii) $1,000. Except as expressly set forth herein, the payment of all filing, administration and arbitrator fees will be governed by the AAA rules.